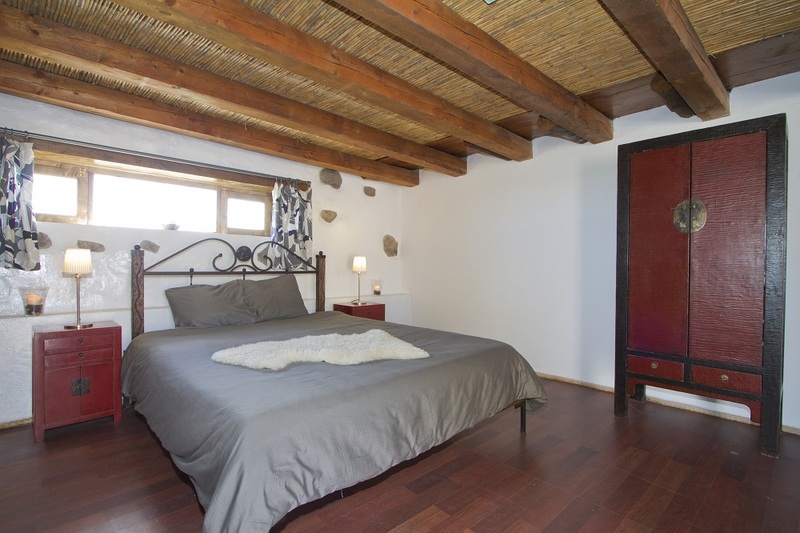 Our environmentally friendly Eco Barn can comfortable sleep four guests (plus cot or z-bed). 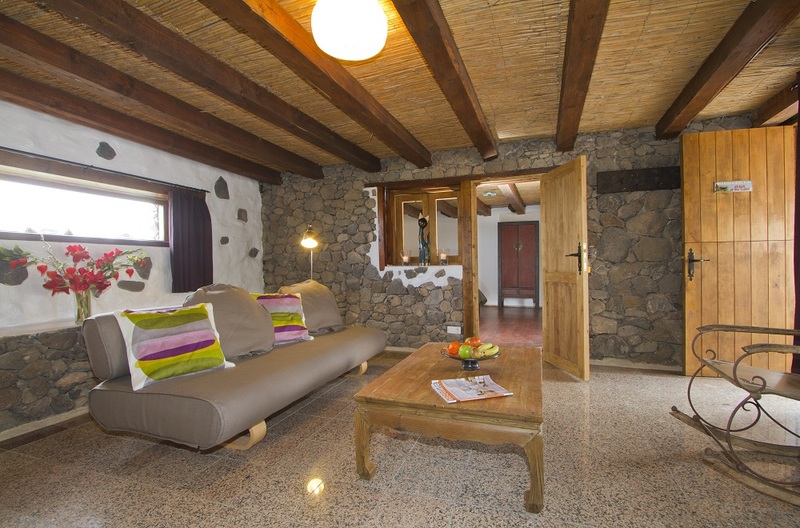 Lovingly restored and refurbished to a very high standard using local materials wherever possible, this traditional Canarian Barn has been converted into a unique holiday accommodation with wood and marble flooring, and traditional stone walls. 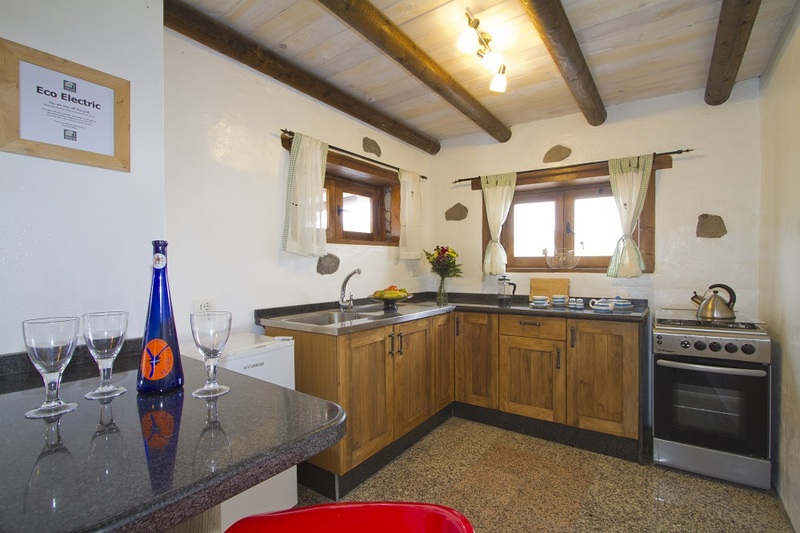 Our cosy barn comprises 90m2 of interior floor space on one level. It features wonderful mountain views of the unspoiled Haria landscape. The large lounge with patio door is light and airy with seating for six guests. 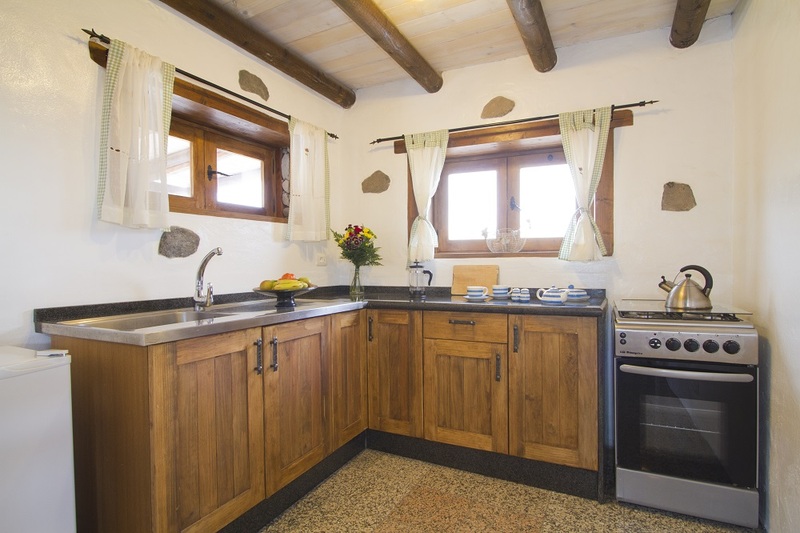 The Barn accommodation comes complete with a fully fitted bespoke kitchen including oven/grill, four-ring gas hob, fridge/freezer and plenty of cupboard space, which makes this property ideal for discerning self-catering holidays. The open plan lounge and kitchen leads to a master bedroom with fantastic sea views, a king size double bed, wooden floor and oriental bedroom furniture. The second bedroom with marble floor, set of bunk-beds and widow with sea view, is accessible via the master bedroom, or directly from the covered terrace. 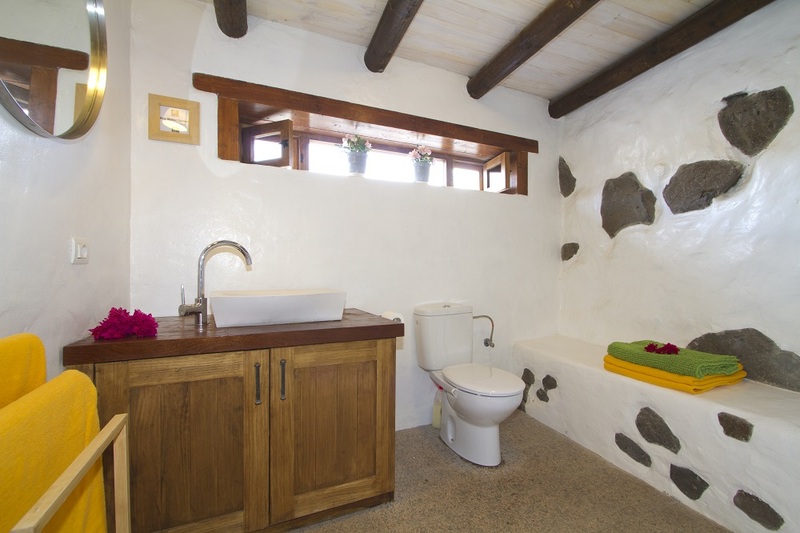 There is also a walk-in shower room with wash basin and W.C (access from the lounge). Outside, set in a mature walled and gated garden, the barn has a covered terrace with sun loungers, BBQ and a teak wood garden dining set. 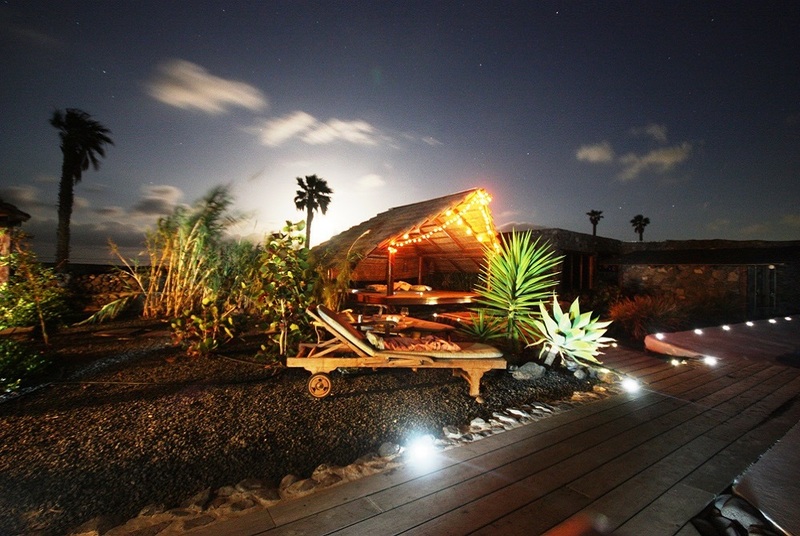 The barn terrace boasts magnificent views overlooking its well-maintained gardens and beyond to the Temisa valley and volcanic mountains a perfect setting for watching our beautiful sunsets. There is also a further, shared, shower room and W.C, plus covered kitchen and lounge at the nearby shared pool area with free WiFi access. 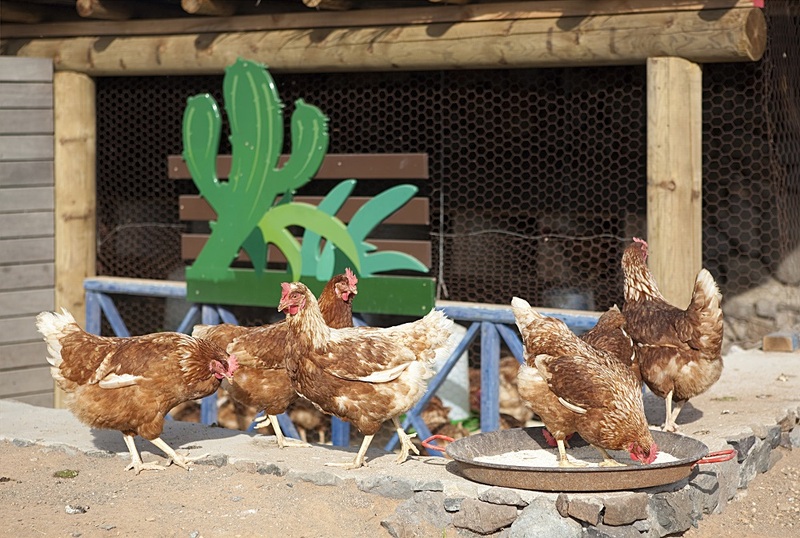 Journey from Eco Barn to the communal area at Finca De Arrieta via 360º google tour. 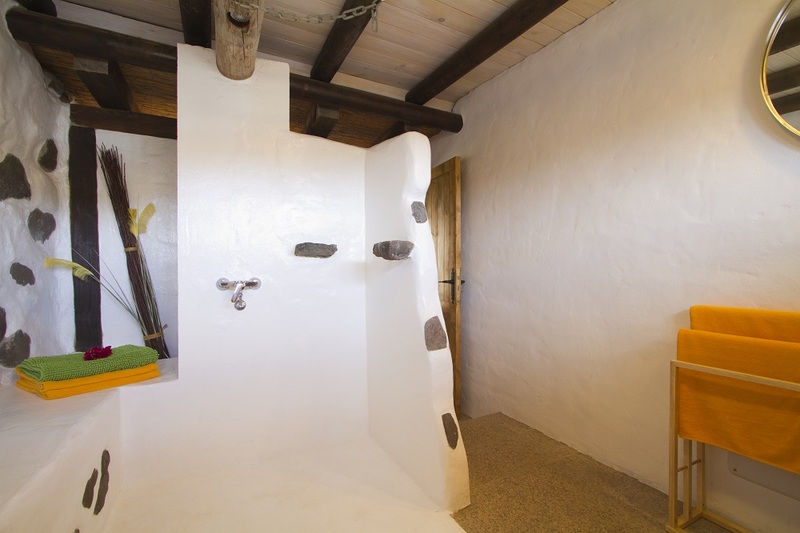 The price per night is based on up to 4 guests sharing the Eco Barn. For up to 6 guests, there is an additional charge of €15 per person per night. VIP airport transfer on arrival and departure: This includes one round trip for up to 6 guests. Please ask for pricing guests arriving/departing with multiple flight times. Toyota Hybrid Car: Exclusive use of a courtesy Toyota Hybrid car throughout your stay. (Car seats provided if required)*Drivers must; be over 25 years of age, have had a driving licence for at least 2 years and bring their original licence with them. 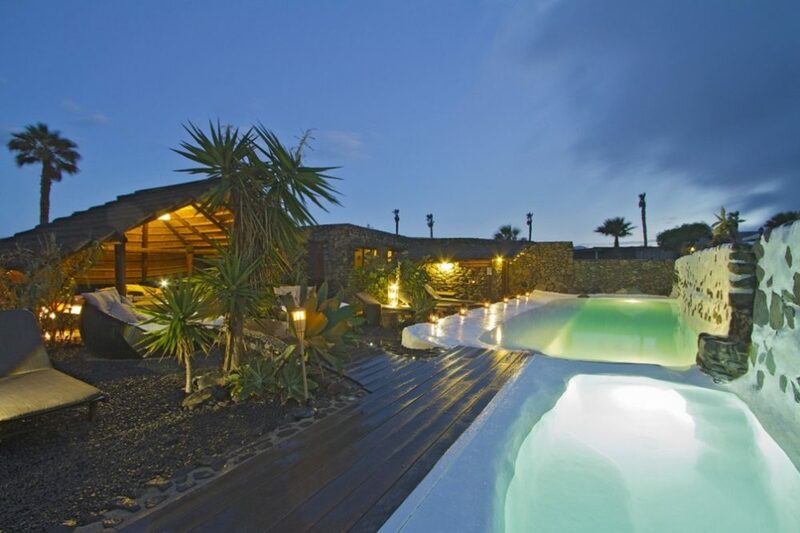 Please note: There is a surcharge of €130 for booking less than 7 nights. We've been coming to finca de arrieta since we were expecting our first child. This time we visited with our third child. All of us love it here. 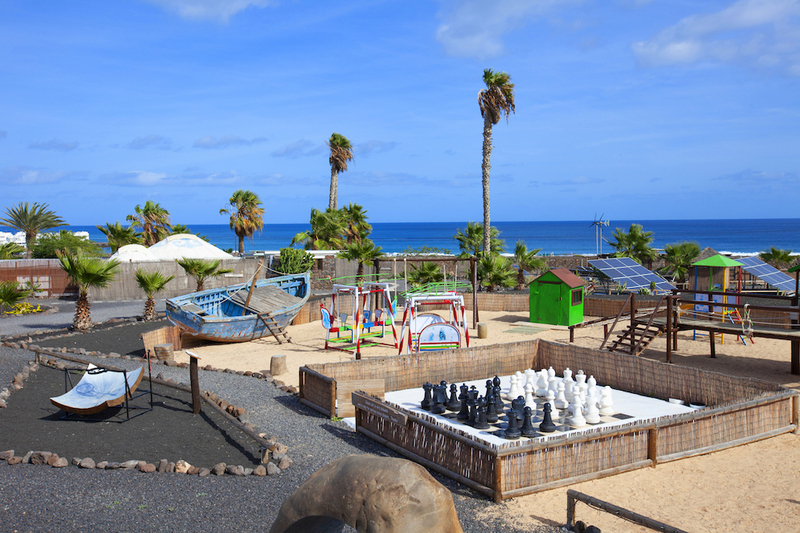 The staff and accommodation are lovely and very child friendly. But what makes it really special is arrieta itself. 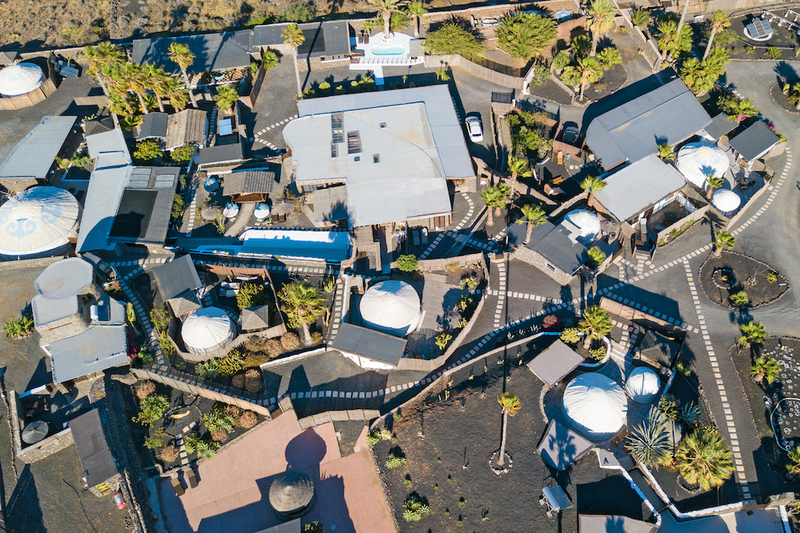 The nearby town is a undeveloped fishing village in an undeveloped area of one of the least developed Canary Islands. It takes a little while to get it though. Don't expect to hear much English spoken or to see a big selection of restaurants serving tourist food and drink. 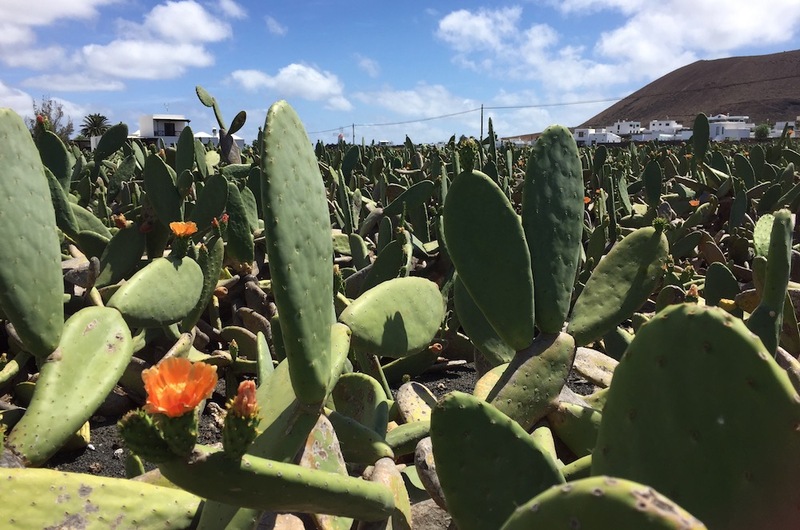 Do expect to see authentic Canarian culture at its best. 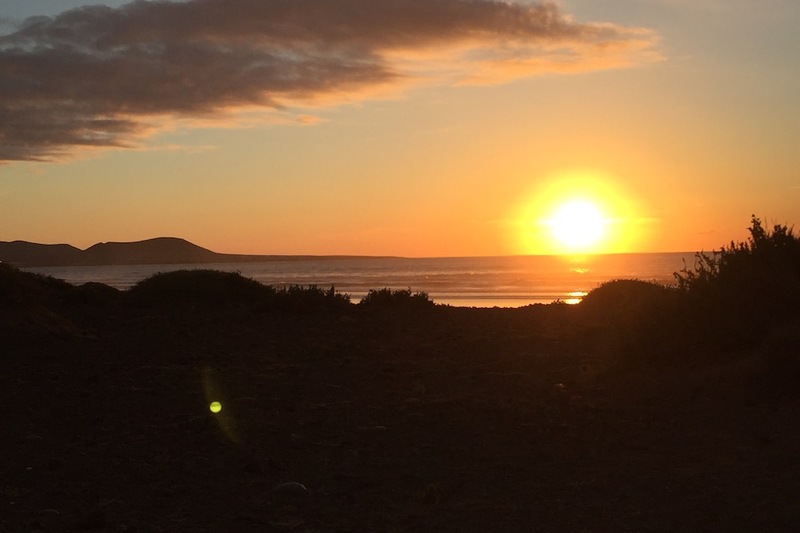 Top tips - get up early and catch a beach sunrise. - get a mojito from the cocktail van on the beach - bounce on the trampoline at the finca - eat yummy pastries from nearby patisserie Levain. Happy to recommend Finca De Arrieta! Really lovely and relaxed place to stay, we stayed in the Eco Barn which was great with plenty of space for a family of 4. The children loved it and the play area and animals were lovely. That said I wouldn't be put off coming if you are travelling without kids, the retreat is set out so that there's plenty of privacy and you wouldn't feel over run by children. The beach at Arrieta is nice and has good amenities, also if you prefer a more remote/wild beach there's some good ones up the coast too. 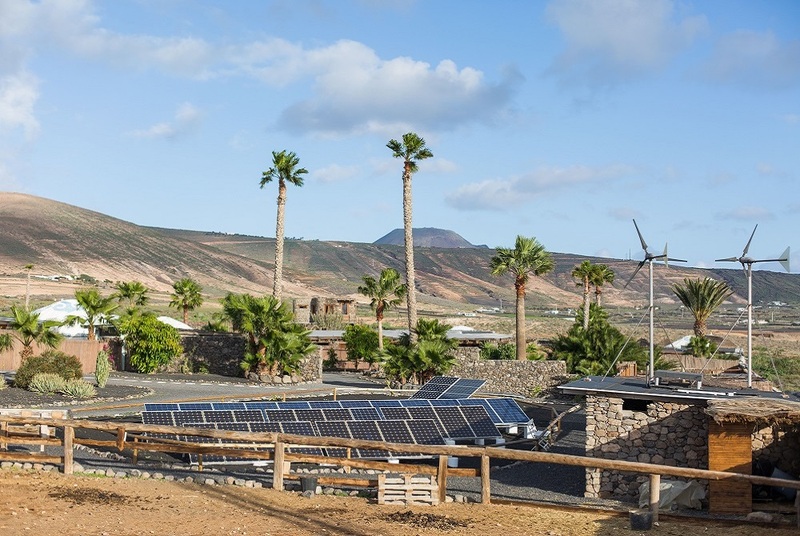 The retreat is not just Eco in name and they have a very genuine commitment to being a sustainable and eco as possible, for example the solar heated showers etc. Worth noting that the tap water is not drinkable and you can refill on water for a small cost at the (very well stocked) honesty shop. 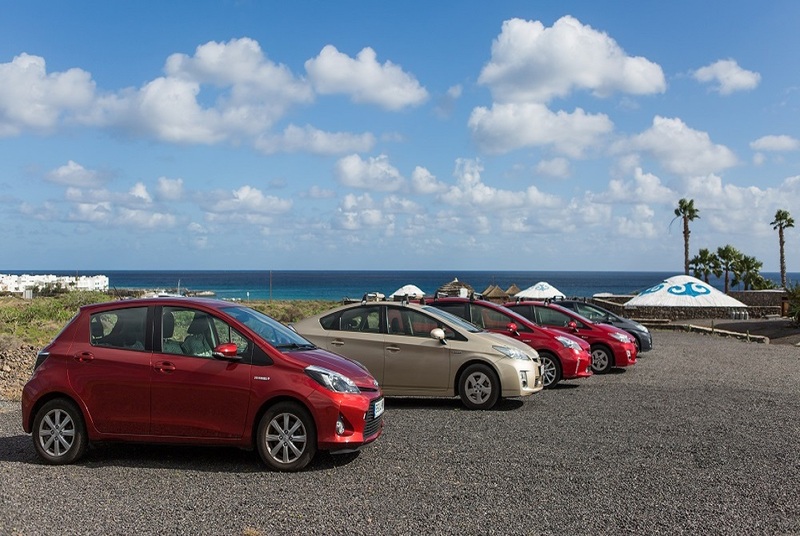 The Prius courtesy cars are great and driving on the island is a pleasure with very little traffic (in January at least!). 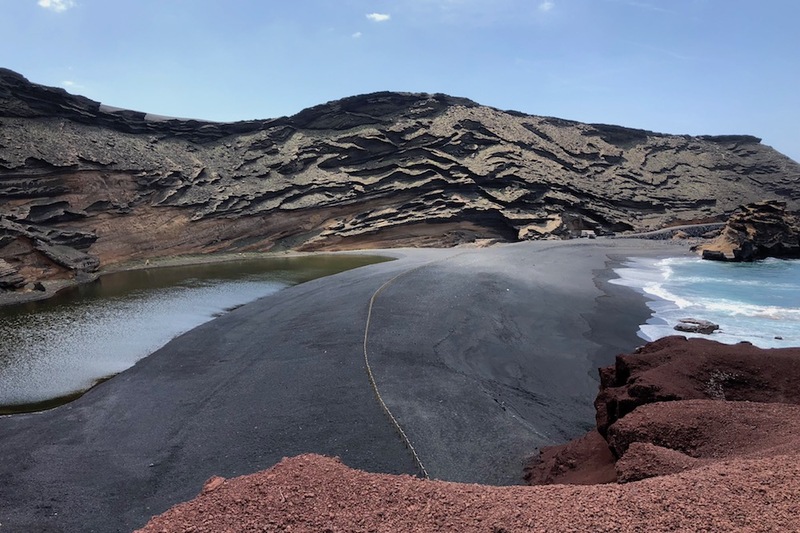 A trip to La Graciosa island is a must for the beaches and scenery. Also the Paella night was a nice way to meet other guests, great value too if you like Cava. I wouldn't hesitate to book. Service, communication and airport transfer all fantastic. We were looking for something more “out of the way” - avoiding the more touristy locations and yes, we found it. Something with a supermarket if we wanted to self cater but also with a few good restaurants within walking distance. 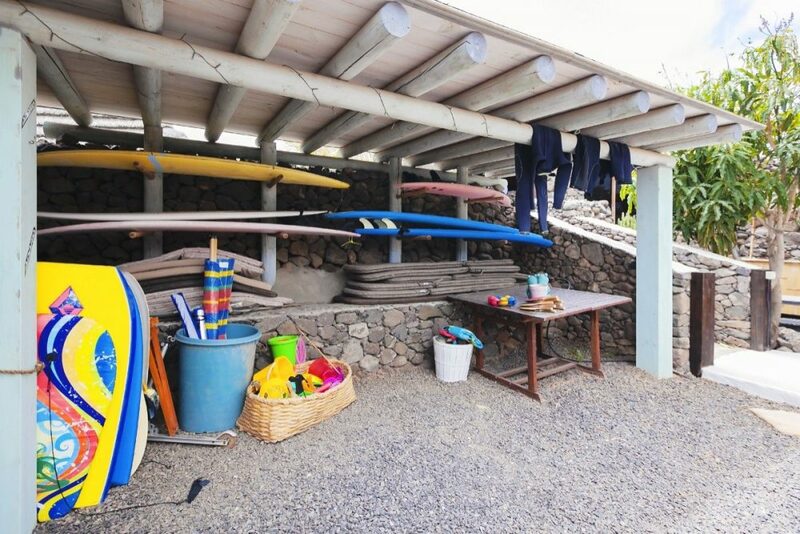 Plus, we wanted a beach as an alternative to a pool. 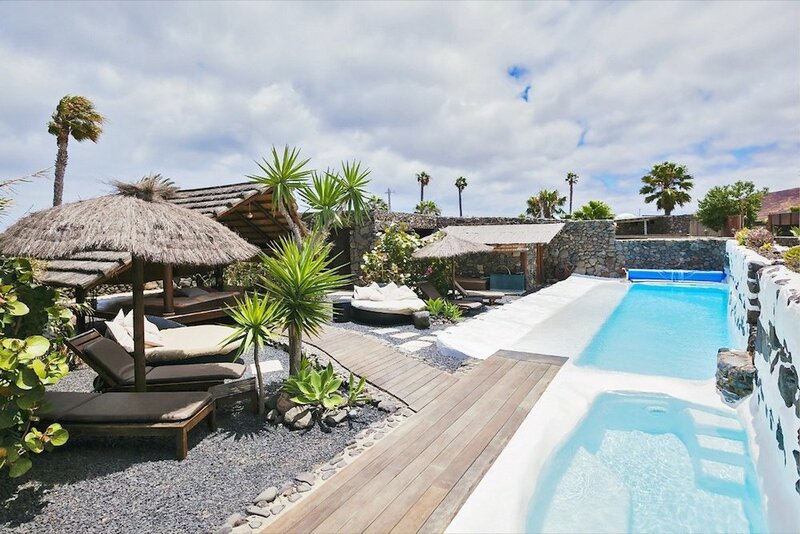 Lanzarote Retreat has it all for us. We stayed in the Eco Barn and it was just what we were looking for. In all there are seventeen various properties from a tower, small cottage, the barn, a luxury villa (and yes, it is luxury!) and yurts. Even the yurts have all creature comforts with the Royale being particularly opulent! We chose the Eco Barn for its location within the retreat, at the bottom. Although it is the one nearest to the road (which isn’t exactly close) we didn’t hear any road noise. The restaurants we tried were excellent although we ended up most days going to the beach restaurant. And the supermarket had everything you’ll ever need. The town of Arrietta is quiet and you can go a lovely, flat walk along the cost to the next village which is about 5k there and back. 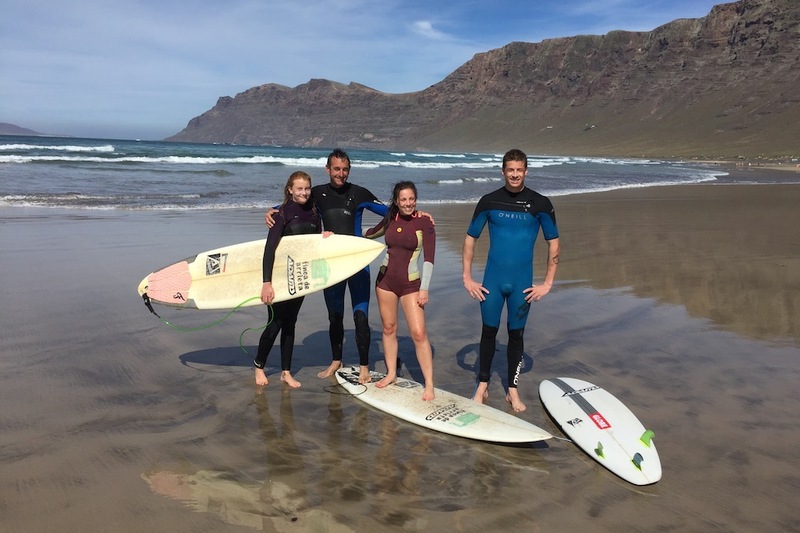 Overall, as the rating states, it was an excellent holiday and we look forward to returning. Although I shouldn’t say all this as it will encourage everyone to go and leave us less choice! Oh, and by the way,I forgot to mention - being met at the airport that included a bottle of cava after the long flight started the holiday almost the minute we touched down. And booking was really easy. Over the telephone chatting with Michelle and Karen. They couldn’t have been more helpful. A very satisfied, returning customer. 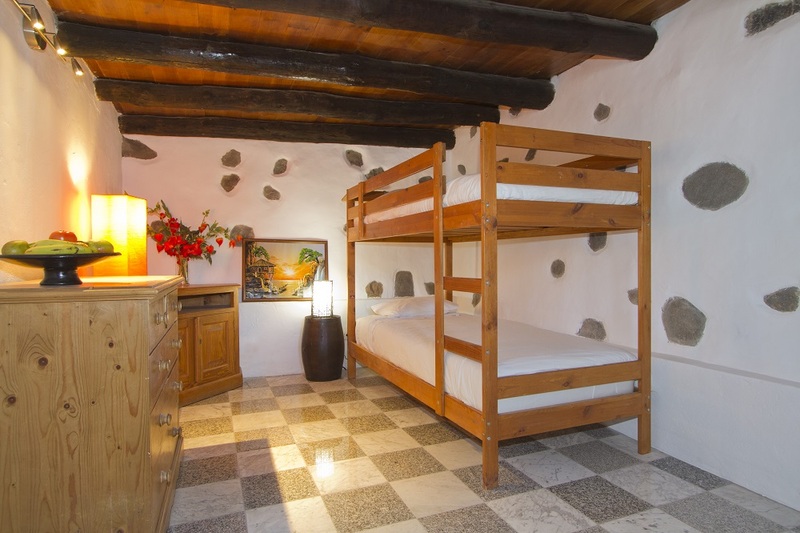 Set in a super finca made up of different types of lodging (incl. 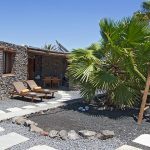 Mongolian yurts) in the North of Lanzarote, so a bit more tranquil and perfect for a family with younger children. 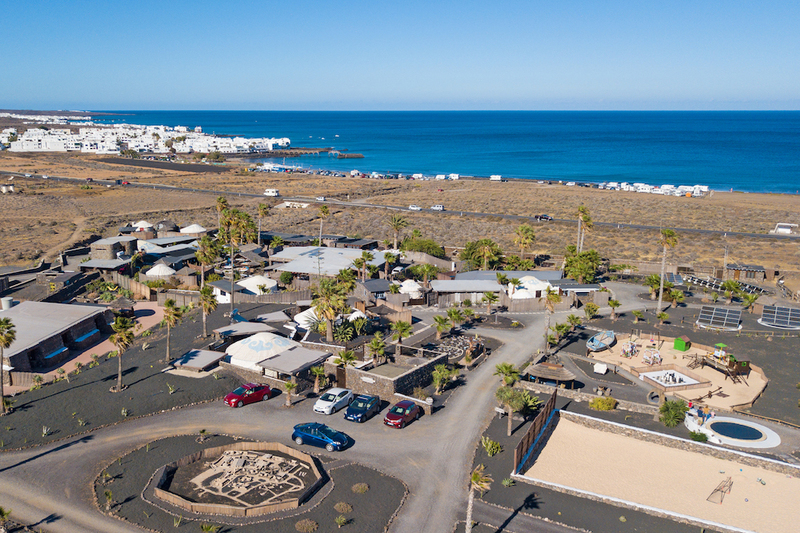 A couple of minutes walk to the wonderful Arrieta beach, but with its own small pool it offers plenty of other amenities including an honesty shop and help with booking trips. 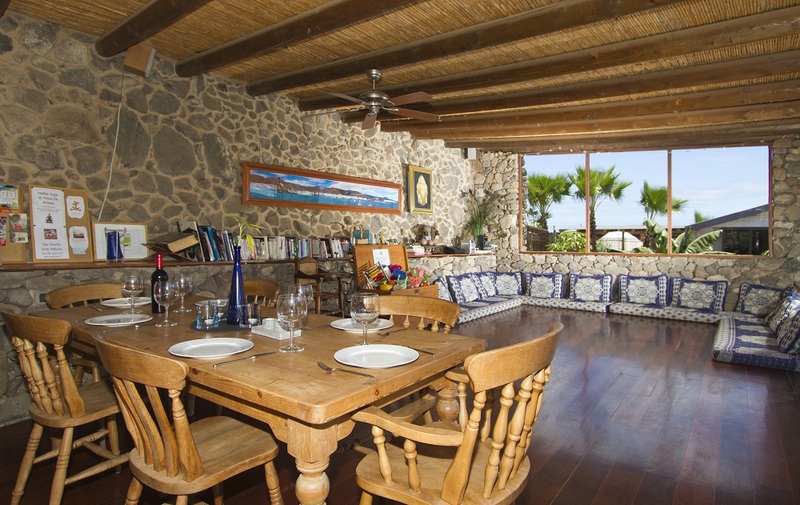 The staff are wonderful and the finca is kept in a pristine condition. I couldn\'t recommend it highly enough! 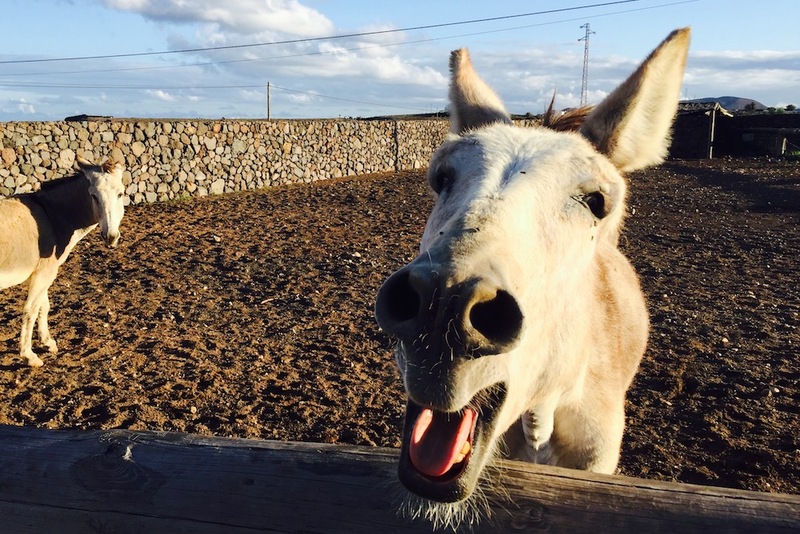 We love staying in Finca De Arrieta. This was our third visit and we've already booked our fourth. 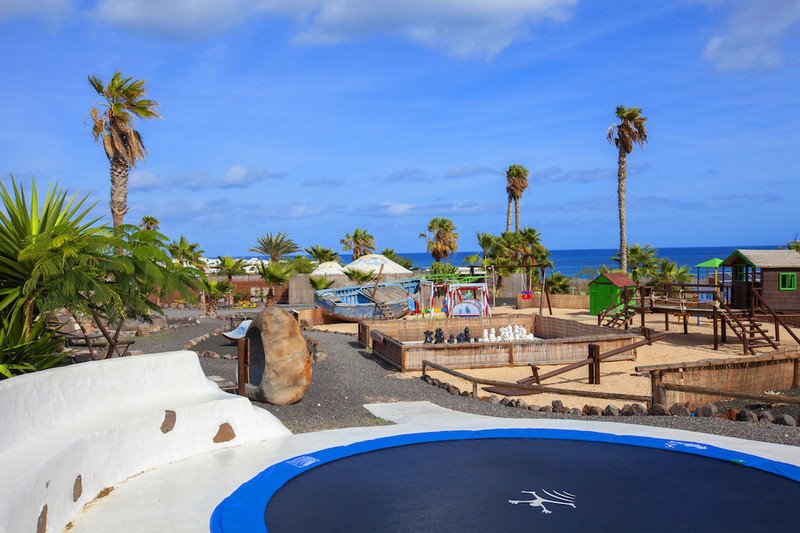 It's away from the tackiness of some of Lanzarote's big resorts, but with all the amenities you need on your doorstep. 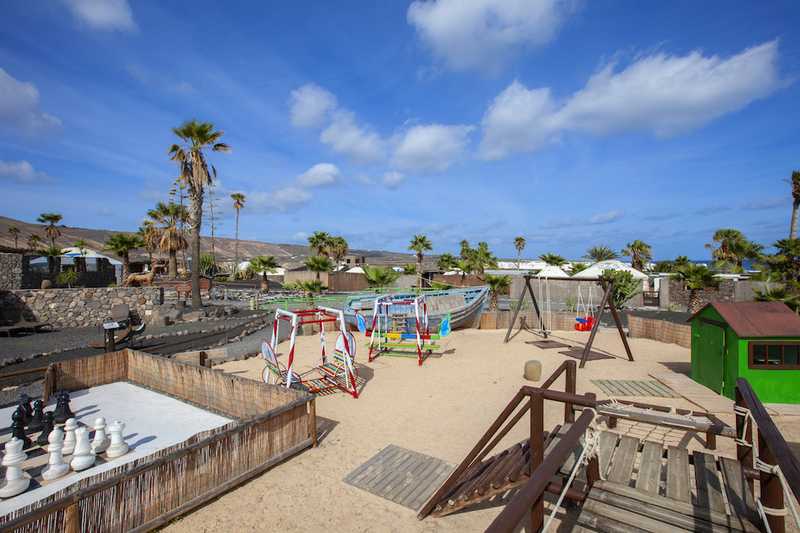 There's plenty of things for the kids to do on site, with the beach a five minute walk away. It's friendly enough on site that you can socialise with the other visitors but not so claustrophobic that you can't find your own space. 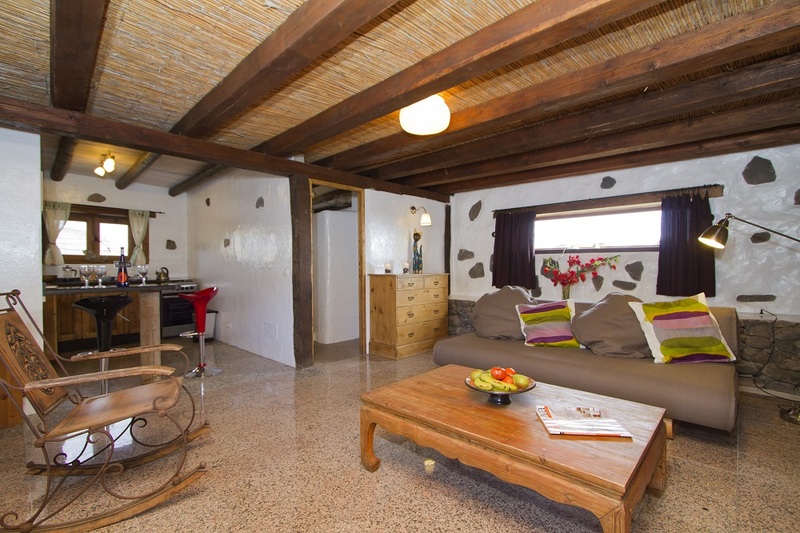 We have just spent a wonderful 7 nights in the Eco Barn at Finca de Arrieta in April 2015. As a family of 5 (Mum, Dad, two 6 year olds and a soon to be 3 year old) we wanted somewhere relaxing for our school holidays - but with enough to keep us busy when we weren't by the pool. 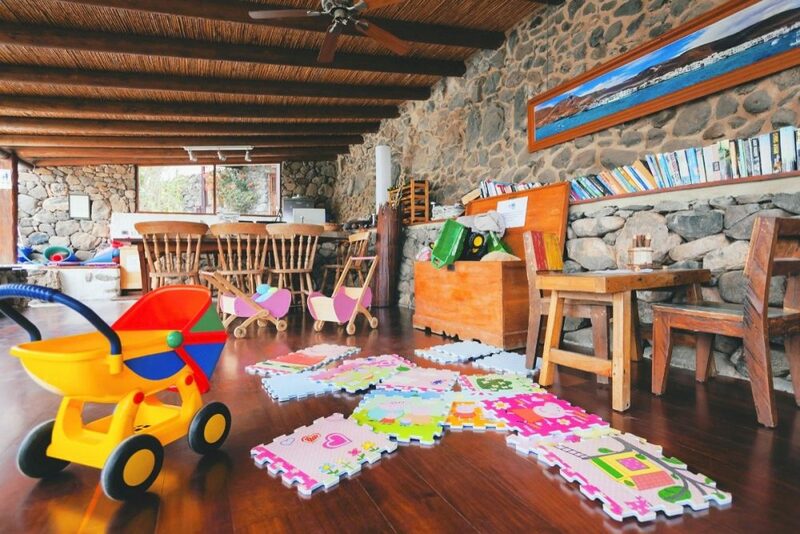 The Barn was perfect for a family of 5 - it had two separate bedrooms (bunk beds and a z bed for the kids), a nice spacious lounge and separate kitchen and shower rooms. The real plus, though, was the wonderful terrace outside along the full length of the barn with swinging chairs, sofa, dining table - which we used for breakfast as well as dinner, and a large enclosed area for the kids to play in where we could keep an eye on them. All of the other reviews on here can tell you how great the on site facilities are - I've attached a pic of the playground to illustrate this! The pool was also very good, with the smaller pool the perfect temperature for the children. Our only real regret was not staying longer! 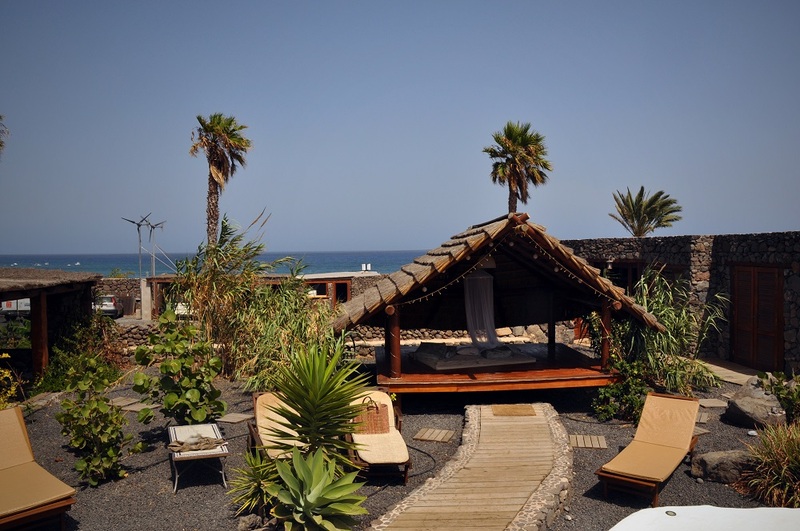 Beyond the finca the local restaurants are great - particularly Chiringuita on the beach front in Arrieta itself. Great food, very reasonable prices and right next to a kids play area. We bagged a table by this for the kids, ordered drinks, and enjoyed a wonderful 'last night of the holiday' evening there. I'm sure we'll be back again to Finca de Arrieta. I can't rave enough how fantastic this place is. Went with a 4 month old, 2yr old and a 8yr old. It suited all of us. We stayed in the Eco barn and the garden area was private and enclosed but very spacious with added plus of hammock seat swings. Kids could play without having to keep a constant eye on them and it's private enough that you don't have to stress about them being perfectly behaved every second. The whole place is cosy enough that if you want company it's there and everyone is so friendly. 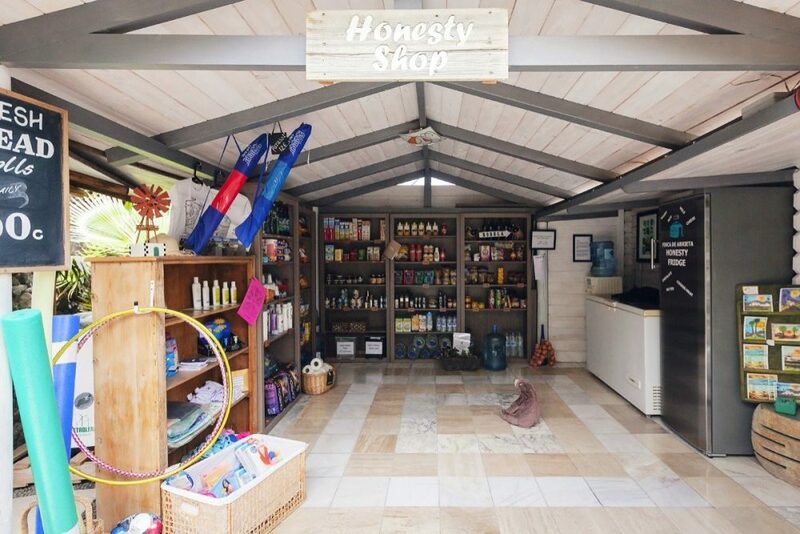 I love the concept of the honesty shop and the trust involved. Everything you could need for kids was provided like a baby bath, high chair, little step, travel cot, swim vests, beach toys, blankets, changing mat etc. everything was spotless, and didn't come across any bugs. Plus after a stressful travelling trip being picked up with a bottle of cava was always going to go down well. There was clear directions to visit any of the sights on request. Everything was fantastic. Best holiday yet!!!! We stayed in the Eco Barn this summer with our young family and have already booked to go back next year. If you have read the other reviews you will know how great this place is. 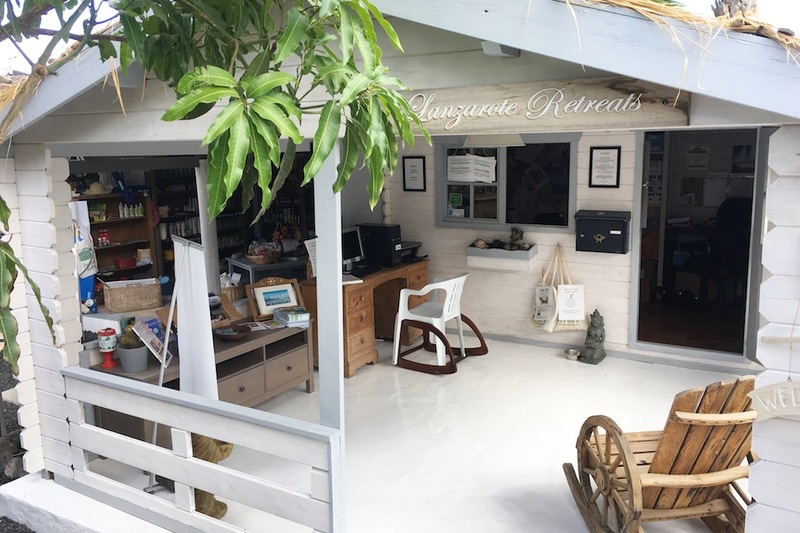 A real retreat, back to basics but with everything you need. Every detail is well considered and the team are so friendly and relaxed. A real gem on a rather strangely beautiful island that we fell in love with. Thanks for a fantastic week of sunshine, relaxation, beautiful scenery, great company and wonderful memories. We had a brilliant family holiday. 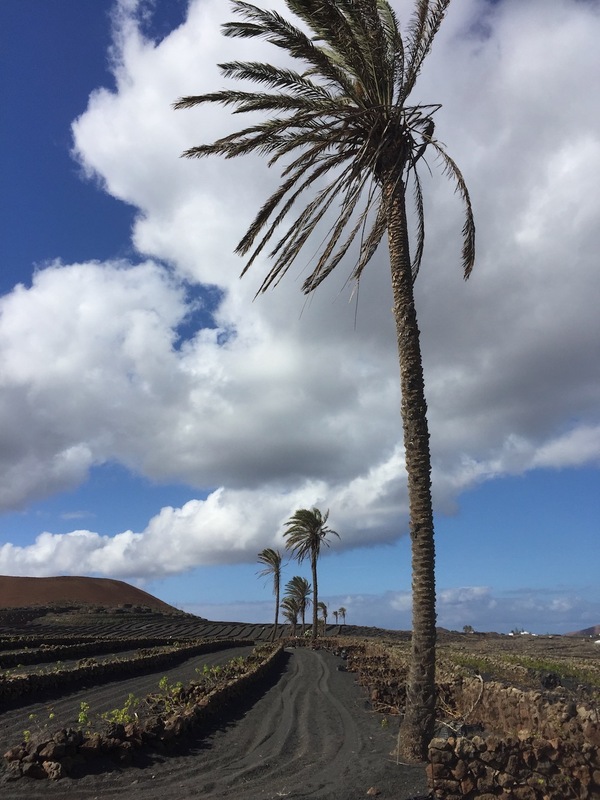 The kids loved the Finca, with its trampoline, playground, chickens, Molly...not to mention all the other children - and we loved the peace and quiet (and the Canarian wine!). The boat trip was a highlight (thanks again Tila!) and we have returned home with plans afoot for a return trip sooner rather than later.